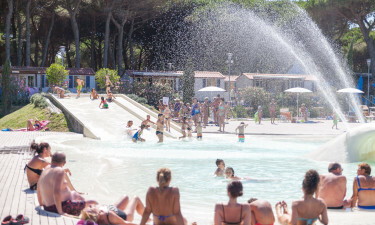 Situated on a beautiful stretch of coastline in Cesenatico, Camping Pineta sul Mare offers a plethora of fantastic facilities and on-site services, just a stone’s throw from a fine sandy beach. Just 30km from historical Ravenna and 40km from San Marino, there are plenty of cultural excursions from camp. Located in the heart of Italy’s Adriatic coast, Pineta sul Mare offers relaxation for all the family. There’s fun and games for children with a local kid’s club, while adults can relax with a number of sports and wellness facilities. Whether pitch or mobile home, Pineta sul Mare has spacious grounds that are well laid out and looked after, bookable with LuxCamp. 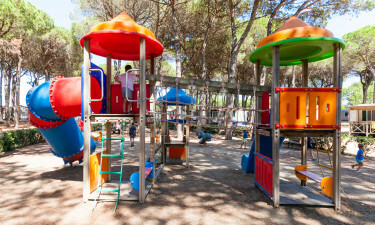 Why choose Camping Pineta sul Mare? You’re spoilt for choice with Pineta sul Mare’s swimming options. 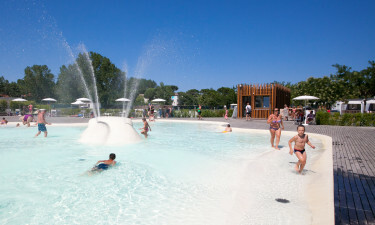 A new waterpark with water games, fountains and wading pools is perfect for children, while adults have much to enjoy too. The swimming pool is perfect for daily laps and dips, with aqua aerobics for all guests. Cesenatico beach is just 500m from the camping grounds, with a host of sunbathing spots, umbrellas and loungers. The fine sand and varying depths are great for even the smallest feet.